PayPal, one of the popular online e-commerce business initiative has now came with some difficult procedures regarding their Credit card verification for Indians. Indian bank debit cards are not accepted by PayPal due to RBI guidelines, hence only bank account verification is the only way out. As bank transactions require time its not a good idea for frequent e-commerce uses. Unfortunately Credit cards are not popular in India as in other countries. Here comes the use of Virtual credit cards (VCC) for PayPal verification. VCC are, as name says virtual cards which resembles an ordinary Credit card. The only difference is VCCs are prepaid cards ie. can be filled via a bank account or a debit card like VISA card. It have no credit limit and application procedure as normal CC. Verification of PayPal account using a VCC is as follows. Paypal will charge for a minimum of around 5 $ to the linked CC. The Transaction code has a verification code that has to be entered in PayPal account. 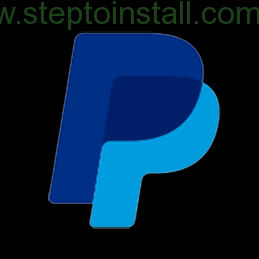 Now a days PayPal became more trusted ‘online bank’ that can be used in more than 190 countries and millions of websites including Pay To Click sites. This entry was posted in General, Website.